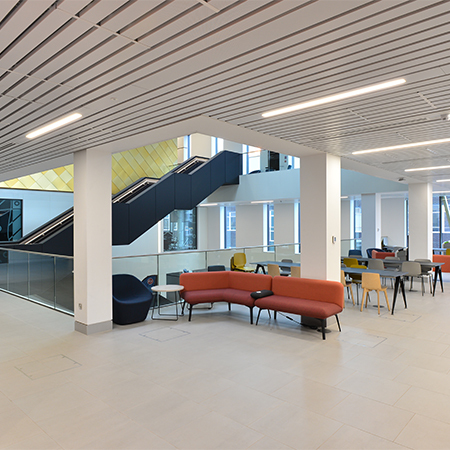 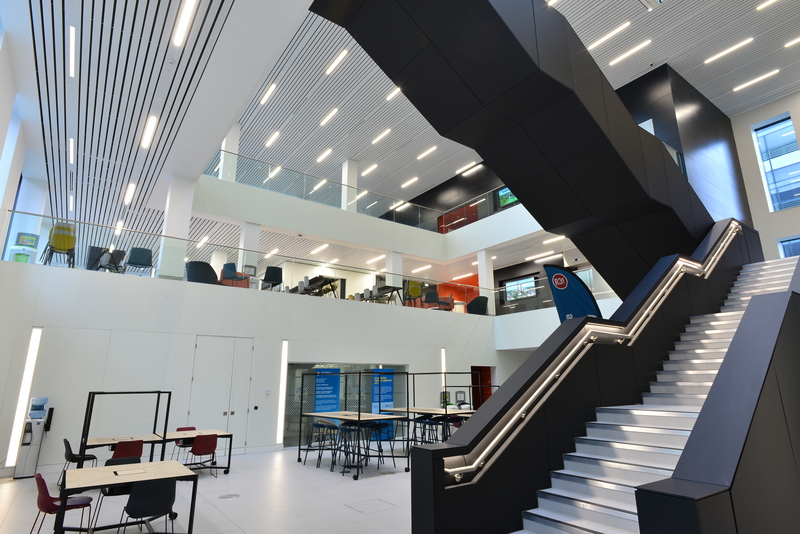 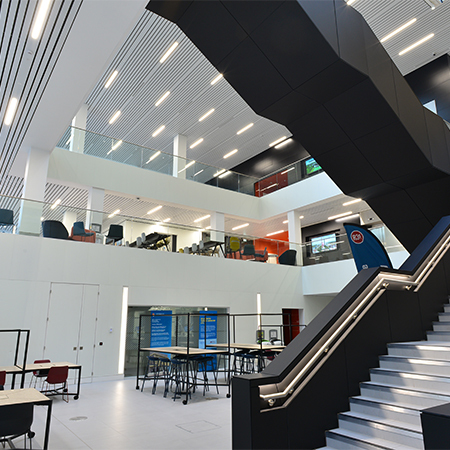 Armstrong Ceilings have provided their metal wall-to-wall systems a laboratory facility at the University of Birmingham as part of their Collaborative Teaching Laboratory. 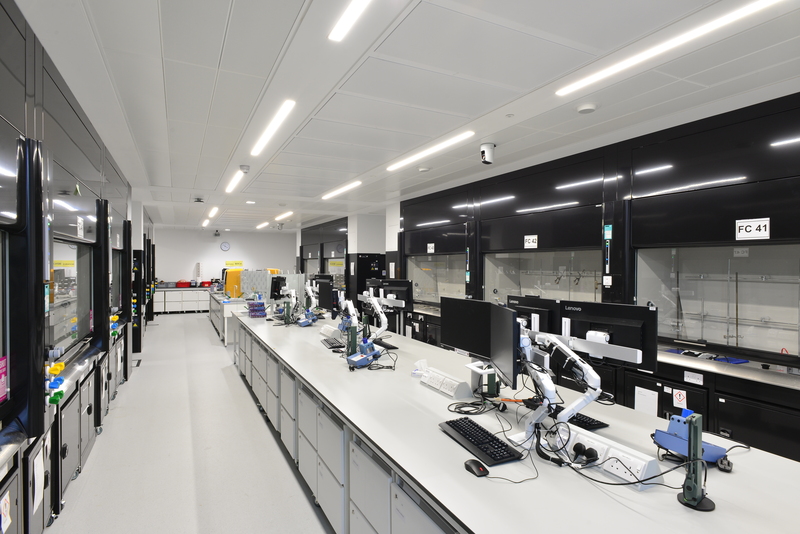 A total of 2,500m2 of the systems feature on the University of Birmingham which aims to replace traditional, discipline-specific laboratories with a range of innovative teaching methods. 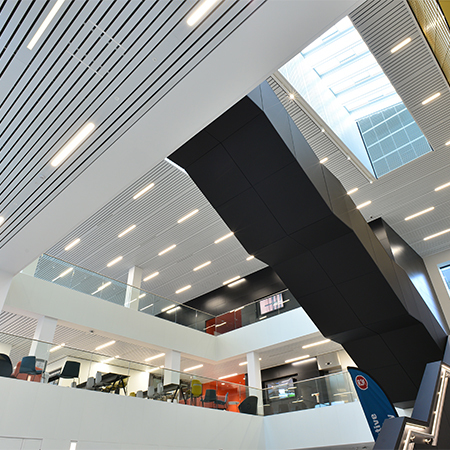 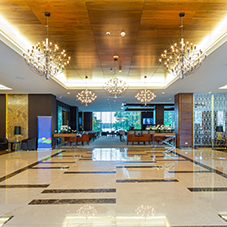 A C-Profile linear modular metal system used on the ceiling and the walls of the three-storey atrium as well as in corridors and break-out areas. 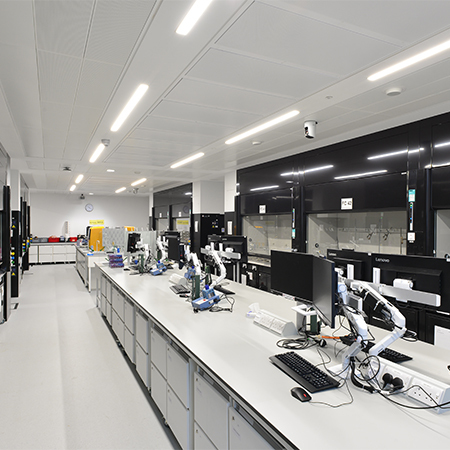 Rated BREEAM “Excellent”, the 72,120ft2 CTL building takes the shape of a robust brick structure with variation in materials and form to represent the three different internal laboratory environments. 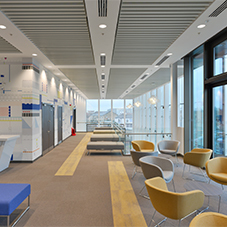 Large angled brise soleil made from gold anodised aluminium, which project over the main entrance, are reflected internally for continuity. 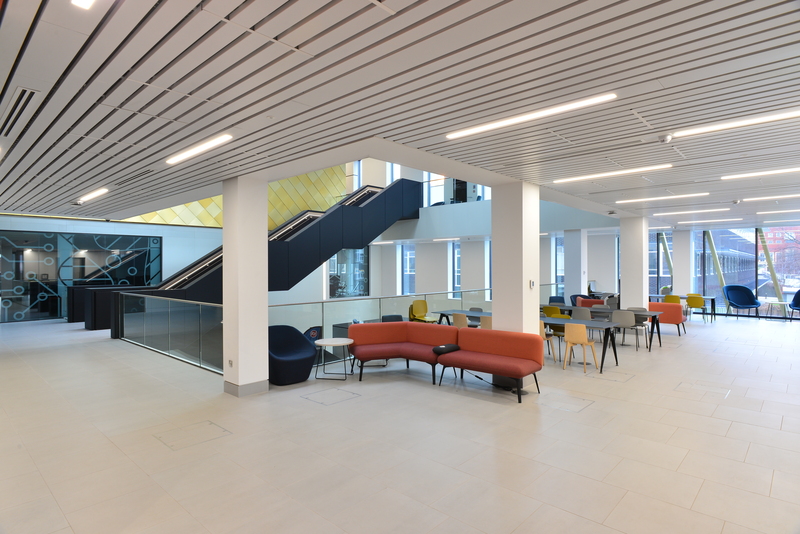 Armstrong’s DGS is faster and easier to install than traditional drywall framing and at the CTL building the metal S-Clip F planks and metal clip-in F-L601 tiles were perforated for even greater acoustic performance. 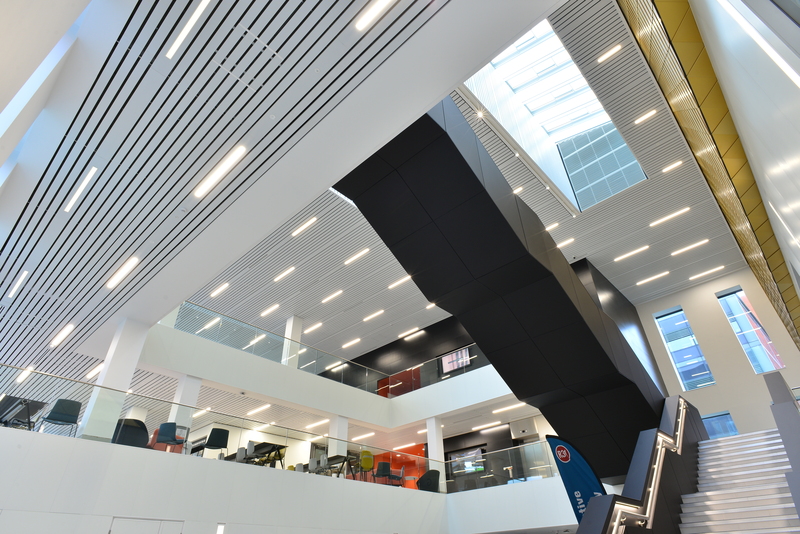 Despite its slender frames the C-Profile linear system incorporates services such as lighting and sprinklers.